SOL & LUNA VASES 2/3. Pair of triangular Vases. 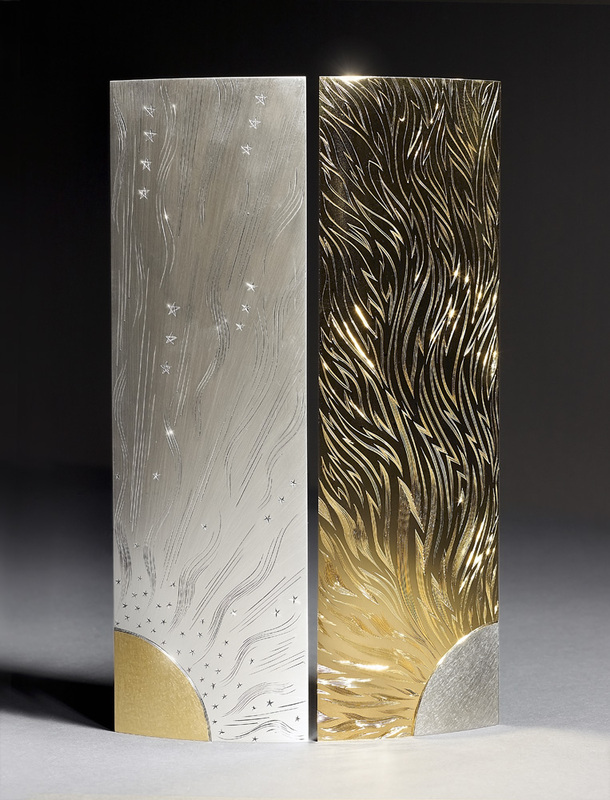 Silver, hand engraved, yellow and black gilding. Made 2010, ht. 30 cm. Photo : Simon B Armitt.